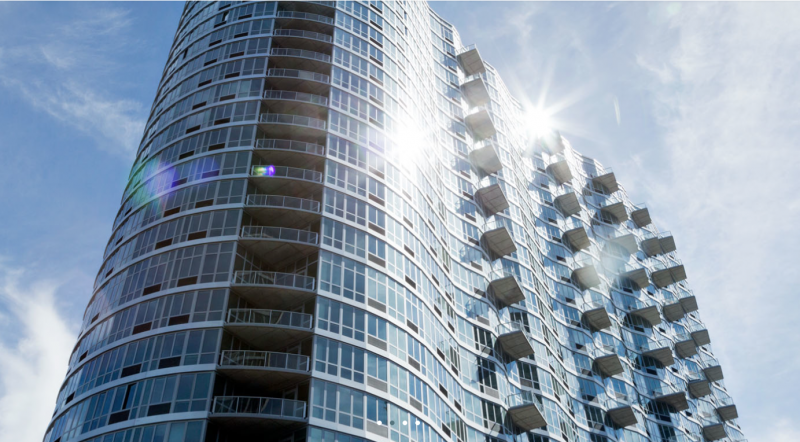 The newly constructed 45-45 Center Boulevard is a giant in real estate—a majestic total of 41 stories and 806 apartment units will constitute the Long Island City luxury rental when the building opens to renters in mid-2013. In the neighborhood of Hunters Point South, 45-45 Center Boulevard will cement an entirely new category of living. Natural stone countertops and stainless steel appliances will deck the exquisite kitchens, while modern hardwood floors and spacious living rooms will add to the luxury. Amenities will include an expansive 1000-car parking garage, concierge, and valet services. Residents will have access not just to a fitness and recreation center but also to 5000 square feet of outdoor space that include a beach volleyball court, two tennis courts, a dog run, and a children’s playroom. Duane Reade and Food Cellar will be just down the street, not to mention that the nearby Vernon Boulevard is exploding with restaurants and nightlife venues, suiting for the adventurous 45-45 Center Boulevard resident. When it comes to Long Island City real estate, 45-45 Center Boulevard will no doubt be on the top—its proportions and amenities far outstrip other luxury rentals. I would like information on apartments in 4545 Center Boulevard. Please contact me ASAP.